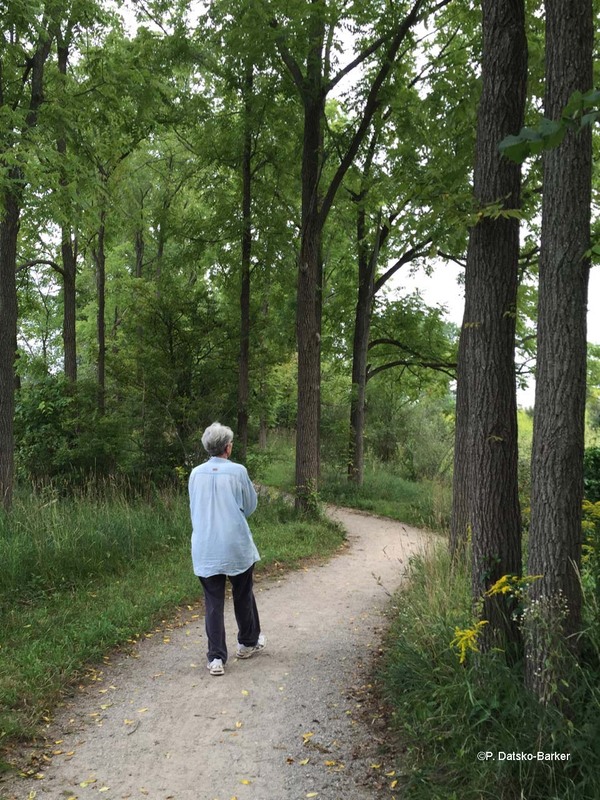 During this cold week, when nature seemed pretty hunkered down – and I sure was! – I decided to explore how our local bugs get through the winter. I’d always thought of insects as killed off by the cold – and many are – but others are biding their time and getting through the winter in surprising ways – like the bark beetle larvae which left their filigree in the fallen tree above. A Chickadee’s Home for the Night? But I did venture out at dusk to see if I could spot birds settling in for the night. And a couple of Black-Capped Chickadees (Poecile atricapillus) obliged by disappearing into a snag. One let its tail protrude from the hole long enough for me to locate it once it suddenly disappeared! When I tried lightening this hole on the computer, the little bird appeared to have turned its head straight upward to fit into the hole! If that’s what really happened, I hope it found a more comfortable place to spend the night once I left. Perhaps just getting out of the cold, though, is more important than a stiff neck. The closest shot I managed to get of the chickadee in its hole for the night. Bernd Heinrich, in his book, Winter World: The Ingenuity of Animal Survival, claims, “…there is no life-form on earth as diverse, varied, tough, and inventive as the insects. 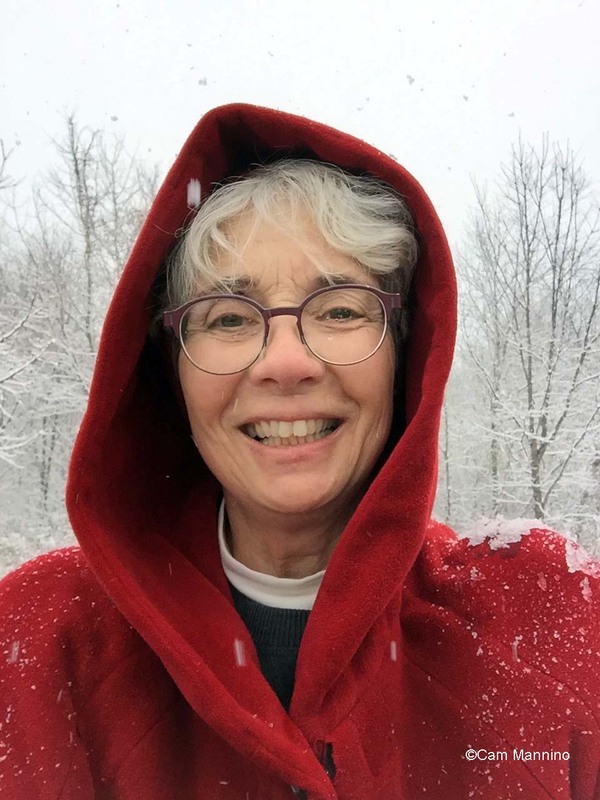 ” Heinrich’s adjectives – diverse, tough, and inventive – certainly apply to the varied and creative strategies that our Bear Creek insects employ during the winter months! So now, while walking along the snowy trails, I can imagine all these small creatures swimming under the ice, tunneling beneath the bark, dozing in tree holes or eating inside plant galls, waiting like we all are, for the burgeoning of spring. Wasps, Hornets, Bees and Ants: Long Live the Queen! This category of insect winter survival has two sub-strategies. Almost all wasps, hornets and many bees, including our native Bumblebees (genus Bombus), live only one season. After mating in the fall, the only member of the hive that survives is the fertile queen. She leaves the hive and inserts herself into a crevice in a log or under bark – some moist place in which she won’t dry out as easily in the winter. If she survives, she rouses in the spring and goes off to find a new nest location, lays eggs and the hive begins again (click on photos to enlarge or hover over them for captions). A native Bumblebee queen mates and then is the sole survivor of her underground hive. European Honey Bees stay in their hives during the winter, beating their wings for heat and eating honey. European Honey Bees (Apis mellifera)and Ants (family Formiciadae) have a different strategy – staying in the hive with the queen, and protecting her during the winter. Honey Bees eat honey during the winter and they keep their hive and the queen warm by fanning their wings. They were imported from Europe because this survival strategy meant that Honey Bees dependably provided honey and crop fertilization from the same hive year after year. Ants lower their metabolism in the winter and pile onto their queen in order to keep her warm. I believe I saw evidence of Carpenter Ants (genus Camponotus) in this tree on the western trail through our Oak/Hickory forest last summer and fall. 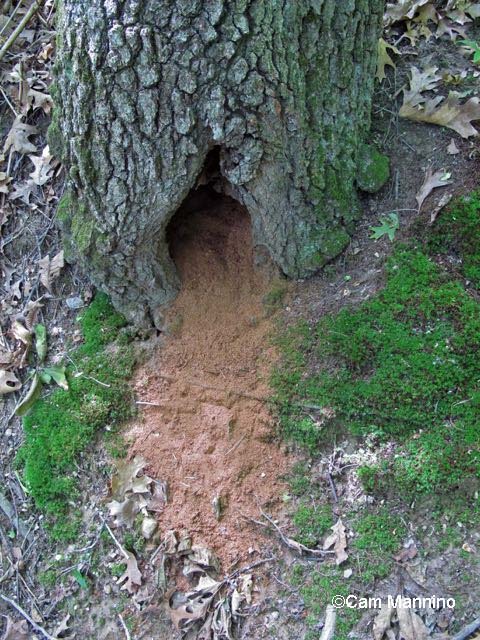 Possible evidence of Carpenter Ants who chew wood to create galleries between areas of their nest and then deposit it outside. Carpenter Ants don’t eat wood like termites; they chew it to make the galleries that connect parts of their nest, and then deposit it outside. Assuming that these were Carpenter Ants, they will have moved deeper into the nest and are now hibernating together with their queen. When spring warms a bee hive or an ant nest, bees and ants are ready to go, having survived the winter as adult insects. A very small number of insects migrate much as birds do. Those of you who read the blog this summer will remember that some of the Green Darners (Anax junius) head south in the winter. 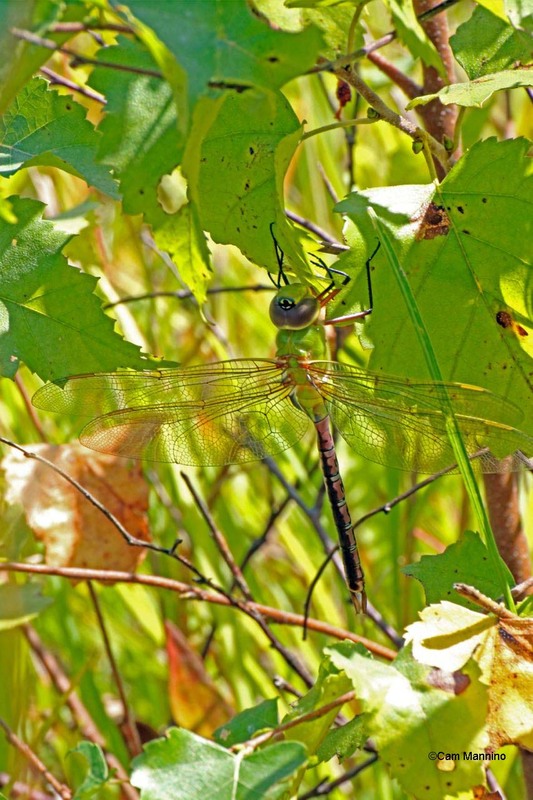 Some Green Darners, large dragonflies, migrate south in the winter and their offspring return in the spring. According to National Geographic, these large dragonflies build up fat reserves and as cold weather sets in, some of them ride south on a north wind. 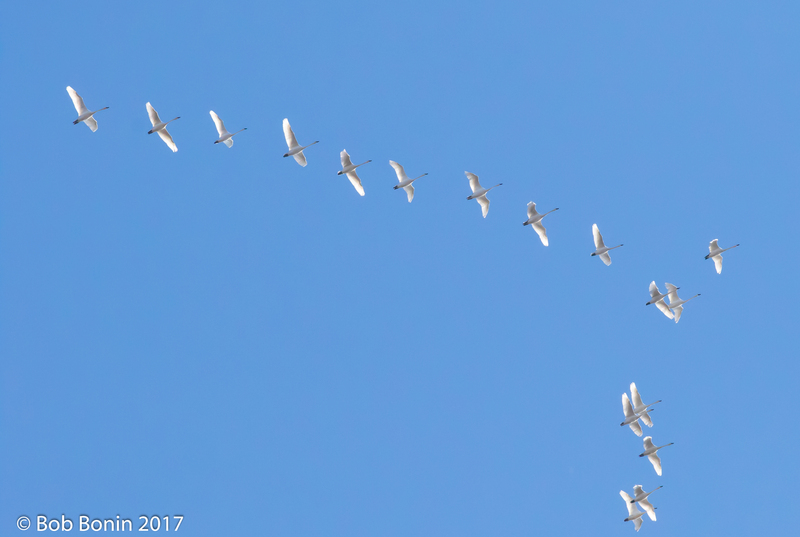 Like avian migrants, they make stopovers to rest and feed along the way and, strangely, follow the same flight paths as birds (don’t they worry about being eaten?). But unlike birds, it’s a one-way ticket for these Green Darners. They breed in the south and die and it’s their offspring that arrive the following spring. Some Green Darners and many other dragonflies, though, use the following strategy. The naiads of the Violet Dancer Damselfly naiads feed and molt under the winter ice of ponds. The naiads of the White-faced Meadowhawk Dragonfly spend the winter feeding and growing under the ice. A Quick Overview Before We Go On: The rest of the insects I’m exploring here have a four stage development: 1) Fertile females produce eggs; 2) Larvae , which in butterflies and moths are also called caterpillars, emerge from the eggs and eat like crazy; 3) Pupae form. In butterflies, their bodies harden into their pupal form which is called a chrysalis. Moths and many other insects spin cocoons and go through the pupal stage inside them; 4) Adults emerge from chrysalises or cocoons and mate to start the cycle again. It turns out that different insects spend the winter alive and well – but in different stages of development. 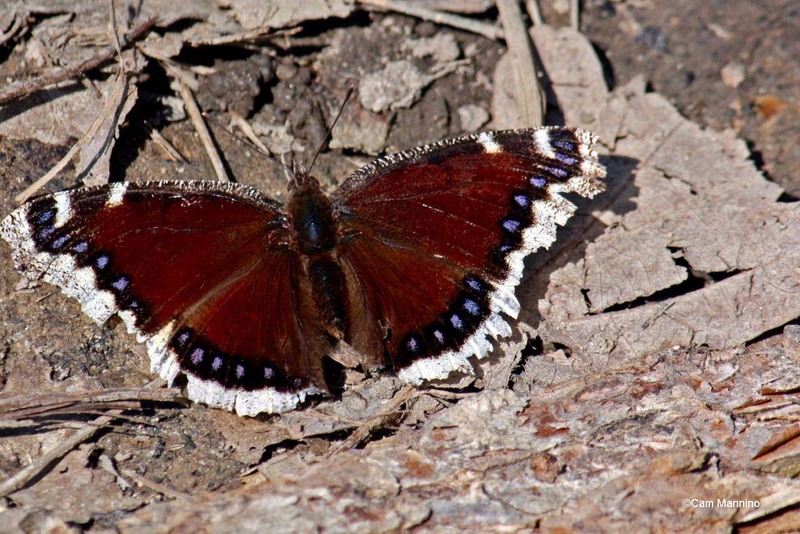 The adult Mourning Cloaks (Nymphalis antiopa) that we see in early spring emerge from bark crevices or trees holes where they hibernated during the winter (those woodpecker holes in snags do a lot of good, don’t they?). Mourning Cloaks hibernate in tree holes so they can emerge in early spring to mate. These early spring butterflies hatched the previous summer. 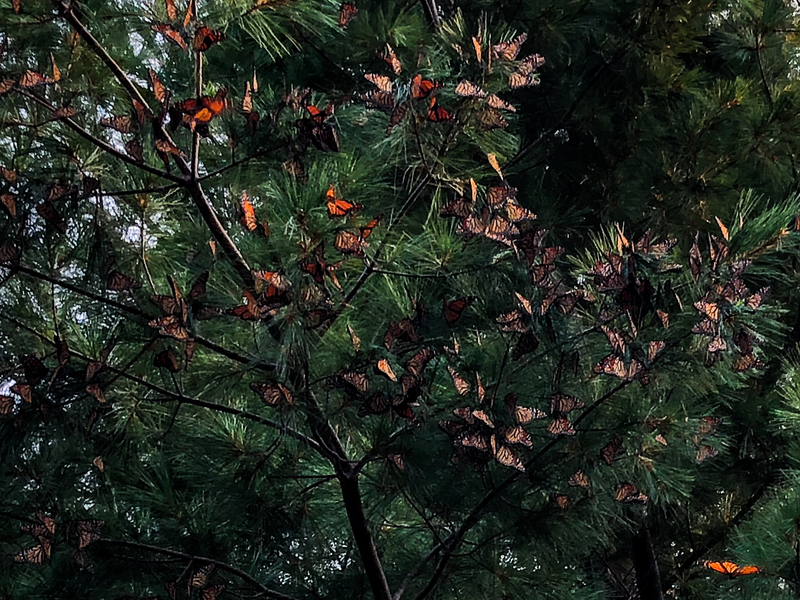 They ate a little and then went into summer torpor, which is called “estivating.” In the fall, the adult butterflies became active again, ate to put on weight, and settled into a hole to wait out the winter. In the spring, they emerge very early, sometimes when snow is still on the ground, and mate. And their eggs, larvae and pupae begin the cycle again. 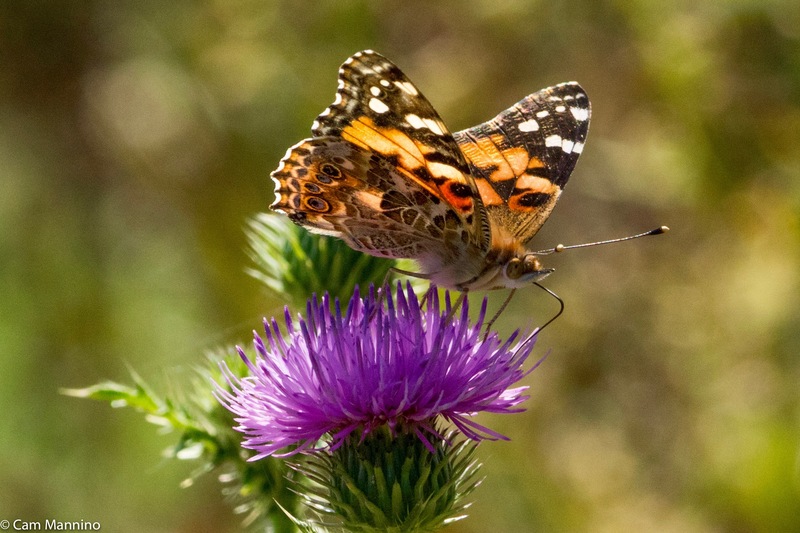 Overwintering as adults gives some butterflies an advantage since in early spring, there is less competition for food (tree sap, decaying matter) and fewer predators, since many birds haven’t yet returned from migration. 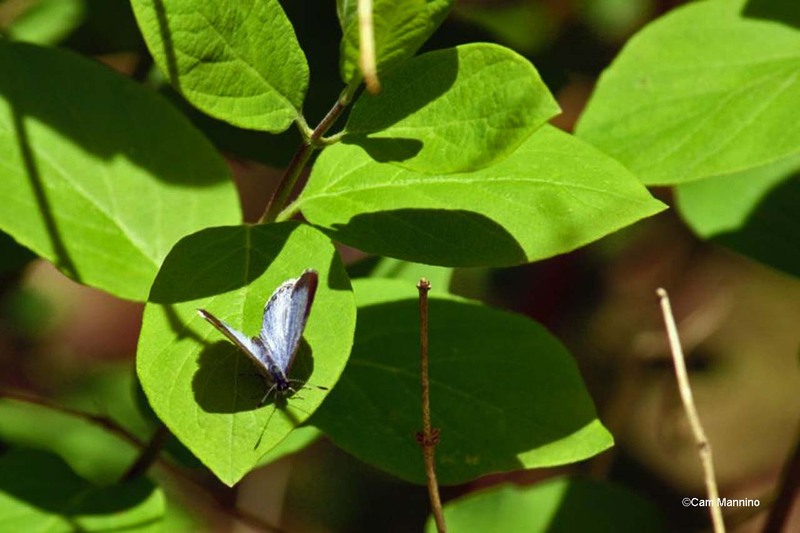 According to the University of Wisconsin Madison Field Station website, the tiny lavender/blue Spring Azure butterfly (Celastrina ladon) overwinters in the pupal stage that in butterflies is called a chrysalis. When the female emerges in early spring, she mates within hours of hatching, lays her eggs the next day and dies on the third – an extremely short adult life! The Spring Azure overwinters as a pupa.When the adult female butterfly emerges, it mates, lays eggs and dies in three days! Larvae hatch from the eggs and eat for about a month. Each then forms a pupa (called a chrysalis in butterflies) and the Spring Azure stays in that form from early summer until the following spring! A long wait as a pupa for a very short time as adult mating butterfly! 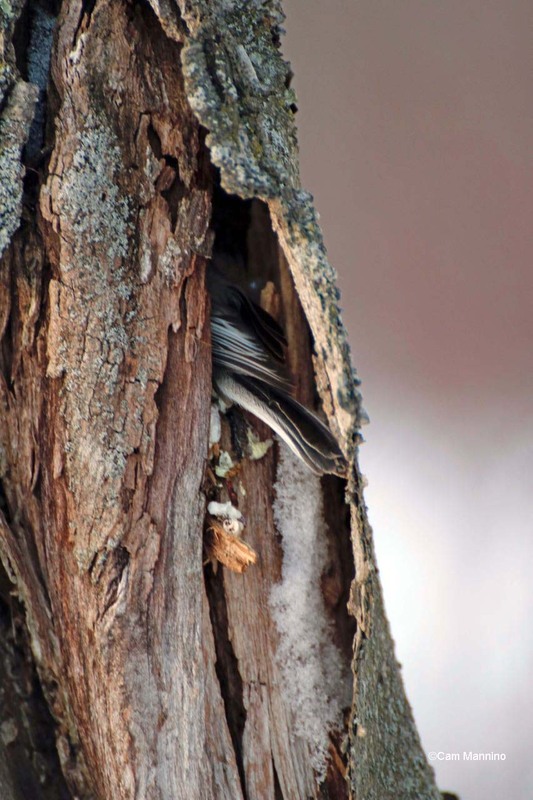 This overwintering strategy, like the Queen strategy of bees and ants, takes at least a couple of forms – staying under bark or freezing solid! Bark Beetles (family Curculionidae) are tiny insects (about 1/10 of an inch) that can survive the winter as larvae, pupae or adults. They are a major food source for woodpeckers, especially in the winter (so that’s why woodpeckers continuously peck at tree bark!). 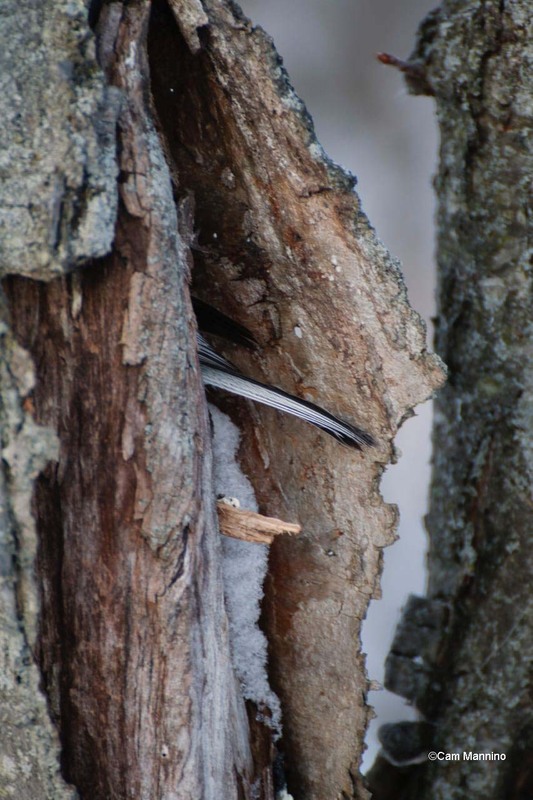 According to Donald Stokes’ book, Nature in Winter, adult insects bore through the bark to a softer inner layer. The males enlarge a “nuptial chamber” where mating takes place. The females then tunnel out into a branch or the trunk, under the bark, to lay their eggs. The larvae who hatch from the eggs make increasingly larger tunnels as they eat and grow during the winter. The tracery left by the tunneling of bark beetles. As bark beetle larvae grow, their tunnels get bigger. Eventually, they form pupae under the bark from which adults emerge in the spring. The adults bore back through the bark and fly off to another tree. According to Wikipedia, some of these tiny insects become pests and kill trees, especially when climate change and other factors promote their survival. Most, however, tunnel within weak and dying trees or aid in recycling the wood of dead trees. Woolly Bear Caterpillars: Freezing Solid! Woolly Bear Caterpillars are the larval stage of the somewhat drab Isabella Tiger Moth (Pyrrharctia isabella). 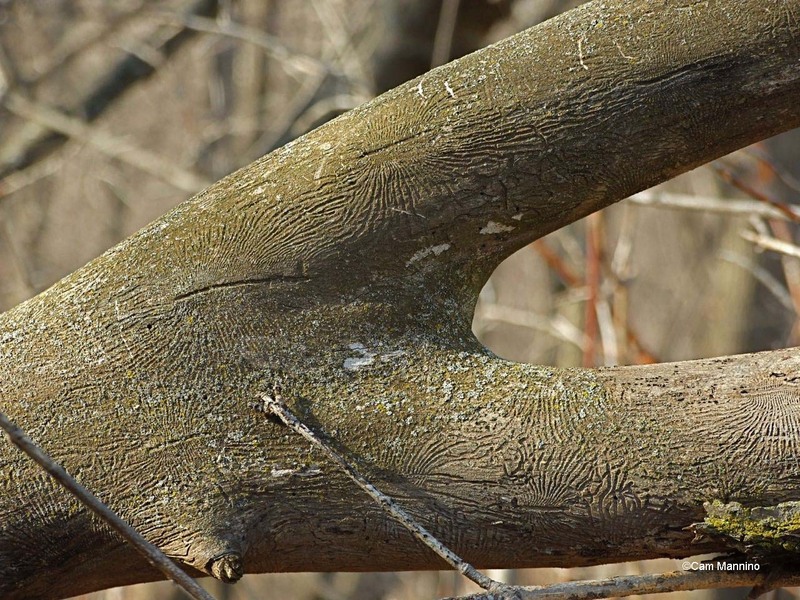 These caterpillars, by the way, don’t predict winter by their bands; they simply molt throughout the summer “becoming less black and more reddish as …winter approaches” (Bernd Heinrich, Winter World). 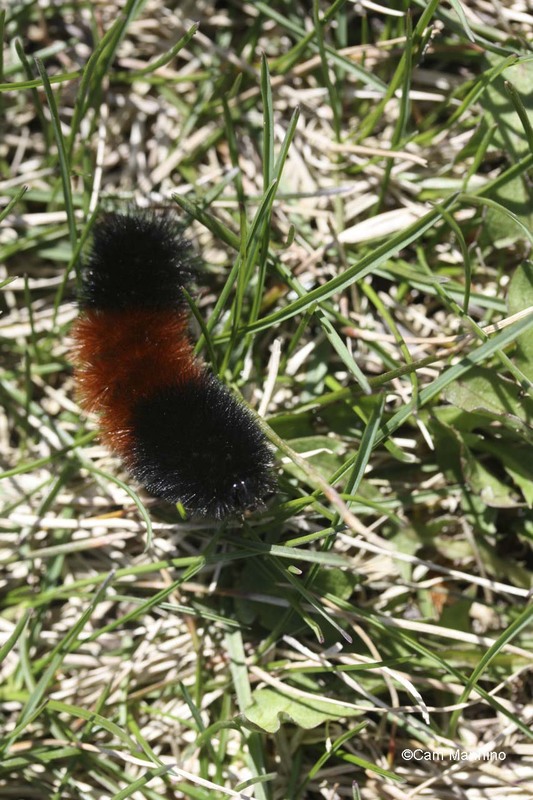 Woolly Bear Caterpillars freeze solid during the winter by supercooling and producing glucose, which works like anti-freeze, and then thaw in the spring to continue their life cycle.